When a big chinar tree falls to ground it creates a stir in the air and a rumble in the ground. People inevitably are drawn to the site to see a glorious product of nature lying lifeless on mother earth. But it does not seem an end of the tree, but merely a transformation from one state of nature to another. Nature is as eternal as anything we know of or can ever know. Kashmiri Pandits have similar thoughts on Pandit Shamboo Nath Sopory’s demise. This towering giant of music, who for some ninety-eight years of his life breathed and radiated music in Kashmir, though no more physically existing, will live on in the recesses of Indian music lovers’ minds and in the cultural firmament of Kashmir, in spite of its politico-cultural divide. Imagine what it must have been like a hundred years ago in Kashmir when Masterji started his life there. Musicians are born with the gift, early years of their lives are nothing but a shaping of it. People around Masterji must have been attracted to him by his special ability. He must have met resistance from his family and friends not to pursue a field which had low income generation capability and not much social prestige. But Masterji must have prevailed over such opposition as gifted people follow their own vision. Neerja Pandit, Shameema Dev Azad, Kailash Mehra. Pandit Omkar Nath Raina, Prof. Nancy Dhar, Prof. Usha Bagati, Prof. Rifet Jabeen, Dr. B.L.Koul (Sitar), Late Sh. Mohd. Ashraf (Music Composer), Prof. Jai Kishori Kaul, Prof. Hawa Bashir, Dr. Rajkumari Magazine, Smt Rita Kaul, Prof. Sunaina Kaul (Vocal), Sh. Jawahar Kaul (Santoor), Sh. Sai Abdul Langoo (Tabla), Sh. Abdul Majeed (Rabab), Sh. Mohd. Ameen Nizami (Flute). So it was not only Masterji’s facility with sitar, santoor, and vocal singing but also his pursuit of the cause of music that made him special. We can understand the difficulties he must have faced in his projects, how many times the world must have put road blocks to his enterprise, how many times it must have broken his heart. But he persevered as he was larger than life. When a personality like Masterji passes away we are not only shaken but we are also uplifted, because his life teaches us that human spirit is greater than all the material difficulties and achievements. 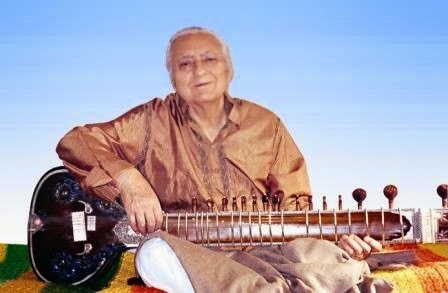 Today Indian classical music has lost its great spreader, santoor has lost its great popularizer, and the Kashmiri Pandits have lost an illustrious son.